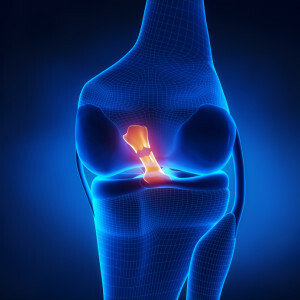 The Stanford Human Performance Lab research team working on ACL injury prevention strategies, led by Jason Dragoo MD, Stanford Team Physician and Orthopedic Surgeon, have recently published the article “Unstable Surface Improves Quadriceps:Hamstring Co-contraction for Anterior Cruciate Ligament Injury Prevention Strategies” in Sport Health: A Multidisciplinary Approach. These findings highlight the potential utility of unstable surfaces as a training tool to reduce the risk of ACL injury in female athletes. The researchers found that while landing on a BOSU ball (an unstable surface) athletes changed their co-contraction at the knee and increased hamstring activity, while also decreasing their knee flexion compared to when they landed on the floor (a stable surface).